You will find the fascinating Pu’uhonau o Honaunau National Historical Park on the southern Kona Coast and it is well worth the visit. (See this link for directions.) 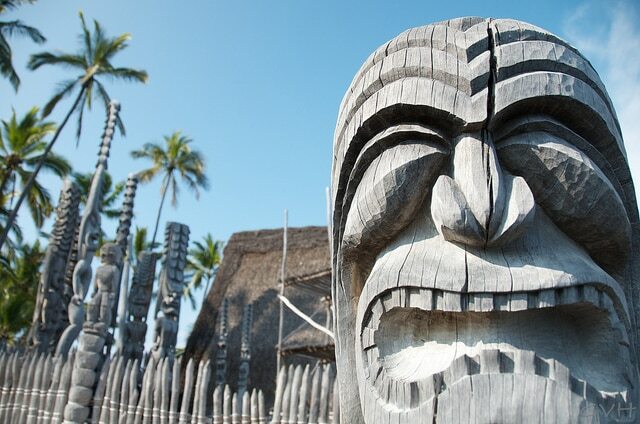 Through a self-guided tour, you will learn about Hawaiian culture, tools, and structures that were used long ago. Walking the paths of Puuhonau O Honauau takes you back into ancient Hawaiian culture and history. 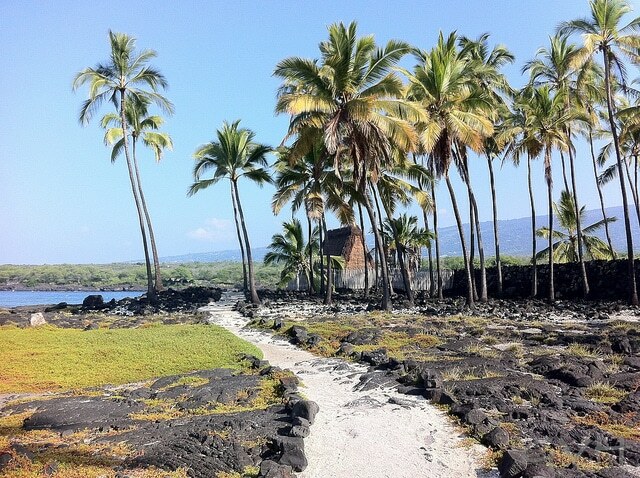 Puuhonua o Honaunau is divided into two main areas – the royal grounds and the place of refuge. The areas are separated by a massive rock wall that is 10 feet high by 17 feet thick. The concept of the place of refuge is interesting. In ancient Hawaiian culture, certain areas were designated as places of refuge and no blood could be shed in its confines. If you had broken a law or were escaping from a war enemy and you were able to come to the place of refuge, you were protected and given a second chance. The visitors center is open daily. See this link for the park’s operating hours. Plan at least an hour to take the self-guided tour. Free ranger-led tours are usually offered daily. Call the park (808-328-2288 or 808-328-2326) to ask for their current tour schedule. Bring sunscreen and water. The only fee you will need to pay is a $5 fee per car to park. This fee will allow you to return to the park for 7 days. To see the Google map to the area, click here. It is also worth noting that you can find some outstanding snorkeling and scuba diving at the nearby Honaunau Bay. See this map to visualize where the Honaunau Bay is in comparison to the park grounds. To learn more about the snorkeling here, visit this site. See more ideas of what to see and do on Hawaii’s Big Island. In the early 80’s, I visited a class mate of mine from U.H. Manoa. 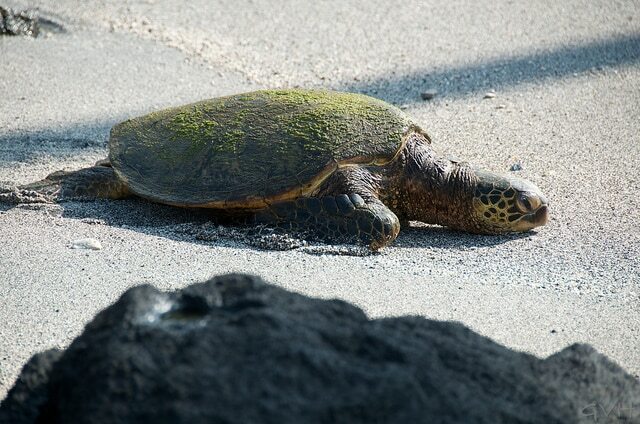 His family was the caretakers of the park and lived in a house on the beach lava front. It is very hot and sunny there, but there are cool breezes coming off the ocean. The sky is clear and blue and you just feel so peaceful and invigorated at the same time. Do make an effort to visit there. Newbie visiting from ‘an island life.’ We only visited the once, many years ago. Maybe it’s time to plan another trip! HVG & Pua – I really enjoyed my time at the place of refuge. It really was fascinating! mcewen – Thanks so much for stopping by and commenting! There are a lot of noni plants growing at the refuge. Noni is a native medicinal Hawaiian plant used for external and internal use.